Coming to America. . . 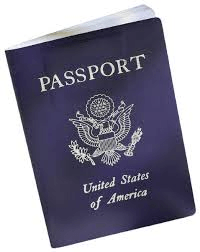 Accidental Americans Beware – The Law Requires a U.S. Passport! Dual nationals who have lived almost all of their lives outside the U.S. routinely travel with their passport of their country of residence. They are typically not aware that they must have a U.S. passport to travel to the U.S. pursuant to a 2004 law, known as the Intelligence Reform and Terrorism Prevention Act. There are many dual nationals living in countries throughout the world. The statistics are a bit fuzzy as to the exact numbers. Apparently, Mexico is the country where more U.S. citizens reside, according to the State Department, and Canada is number two on the list. Approximately 1 million U.S. citizens lived in Mexico, while 687,000 were in Canada. Other countries with large numbers of U.S. citizens included the United Kingdom (224,000), Germany (211,000), Israel (184,000), Italy (169,000), Philippines (105,000), Australia (103,000), France (102,000), and Spain (95,000). According to State Department data, these ten countries contain about 70% of all U.S. citizens living abroad. See, Accidental Americans” – Rush to Renounce U.S. Citizenship to Avoid the Ugly U.S. Tax Web” International Tax Journal, CCH Wolters Kluwer, Nov./Dec. 2012, Vol. 38 Issue 6, p45. Most of these individuals (who were born in the U.S. or who have U.S. citizenship via derivative citizenship) living outside the U.S. are probably unaware that U.S. law requires they obtain a U.S. passport to travel in or out of the U.S. A foreign resident individual with a U.S. parent, must consider whether they too are also a U.S. citizen by the concept known as “derivative citizenship“; i.e., “derived” from a U.S. citizen parent. If so, this law, Intelligence Reform and Terrorism Prevention Act, requires a U.S. passport. (5) a valid U.S. Military identification card when traveling on official orders or permit. At the end of the day, the law almost always requires any U.S. citizen, including “Accidental Americans” to have a U.S. passport or U.S. passport card when they travel into the U.S. Having a passport of the country of residence is not sufficient.